Bulupoloe is an Island that located in Teluk Bone, Luwu Timur, Luwu Timur Regency, South Sulawesi. The name of Bulupoloe is taken from Bugis language that means the cutting mountain or the separate mountain. This island is very beautiful with the stretch of fine white sandy beach and beautiful coral reef. When you are visiting this island, you will be enchanted by the sand along the beach that very suitable for doing sunbathing. This island is also rich in sea biota and coral reefs; for those who love diving and snorkeling can enjoy the view from underwater and see the stunning environment. At this island, there is an old lighthouse that still be functioned as watching tower for the fisherman’s boat. 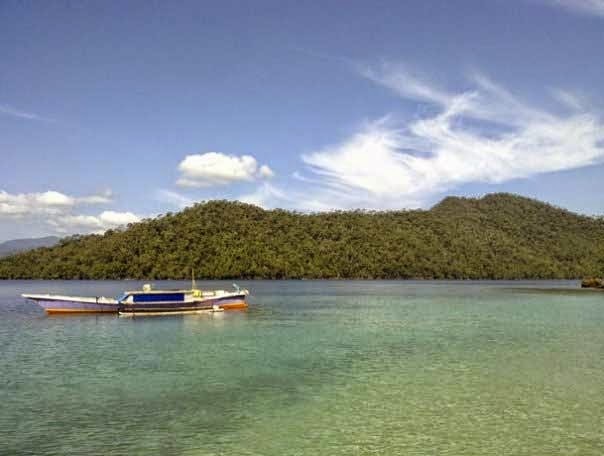 To reach this island we have to go to Malili in Luwu Timur regency, and rent a boat (Katinting) for about Rp. 300.000/day, this boat can brings 5 passengers. For a boat that can load 10-15 passengers, it cost Rp. 700.000/day, and it takes 2 hours’ drive. After arriving in Bulupoloe, we can go to the fishing spots around the island or to the area named Karang Tiga, where we can find the diving spots here and enjoy the underwater nuance. But when you want to reach that diving spot, you have to take Katinting and take 15 minutes’ drive.